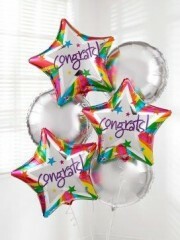 Flowers Dundee have a whole selection of flowers dedicated to saying congratulations. 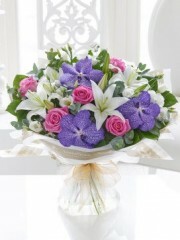 Our floral designs here at Florists Dundee are made to order so each order is made specifically with our customers in mind. 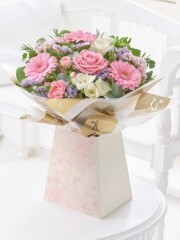 There’s no better way to say congratulations than with a bouquet of flowers from Flower Delivery Dundee. Flowers Dundee have a fantastic selection of fresh flowers available all year. 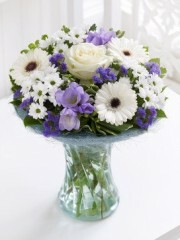 All the flowers we use here at Florists Dundee are from the beautiful country of Holland. Flowers from Holland are some of the finest in the world available to flower shop, and we at Flower Delivery Dundee are lucky to have access to such beautiful flowers. The flowers from Holland are delivered straight to our Flowers Dundee shop to ensure that they are fresh and recently cut, meaning that they will be fresh. What’s more the flowers are delivered to our Florists Dundee shop several times a week so we always have a good supply of fresh, beautiful flowers for your orders. When you send flowers through Flower Delivery Dundee they will always last for days and days because we only ever use the freshest flowers available. 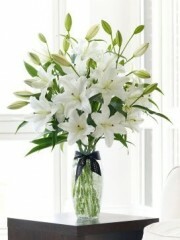 Your and your recipient are sure to be delighted with your flowers from Flowers Dundee. 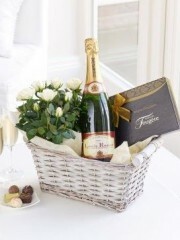 Here at Florists Dundee we also stock a large selection of gifts, so if you want to make your flowers from Flower Delivery Dundee even more special you can do so with a beautiful bouquet of balloons, a bottle of their favourite wine, chocolates or even Champagne if you want to celebrate in ultimate style! No matter what the celebratory occasion is Flowers Dundee has lots of options to suit each of our customers’ requirements. 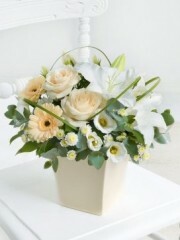 With our delivery options here at Florists Dundee you can chose the best date for your flowers to be delivered, Flower Delivery Dundee are proud to be able to offer same day delivery on our congratulations flowers and gifts. 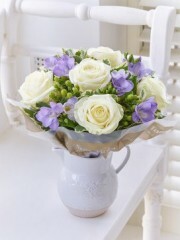 Here at Flowers Dundee we have over 40 years of experience working in the flower industry. We know where to source the highest quality flowers and we know how to arrange them into the most beautiful and stunning arrangements. Here at Florists Dundee we have a team of hard working florists who are passionate about what they do and will arrange for you some of the most beautiful bouquets you will have ever seen. So when you come to Flower Delivery Dundee you can be sure that our flowers are in the best of hands and that you will never be disappointed with the flowers you receive from us. 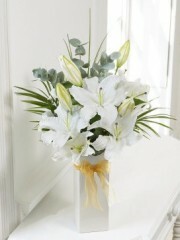 Here at Flowers Dundee what makes us the best is our brilliant flower delivery service. 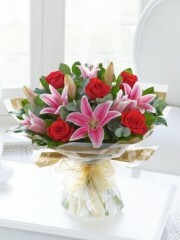 When you make any order with Florists Dundee it can be delivered by us no matter where your recipient is. 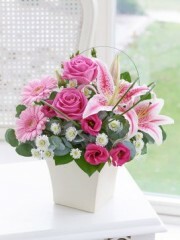 We at Flower Delivery Dundee deliver to all over Scotland and the UK and, because we are a member of Interflora, the trusted international network of florists, we can deliver your flowers to anywhere in the world. If you have any queries regarding our service or products from Flowers Dundee you can call or email us and one of our team members will be happy to help you, alternatively if you would rather place your order with Florists Dundee over the phone, we can do that too.